The DC world is different to that of the AC. Electrical contractors are trained to work safely with AC electrical supplies. Battery Engineers receive different training and it is rare to find electrical contractors or battery engineering specialists who are familiar enough with both types of power supply and work with them daily. At EcoPowerSupplies our UPS engineers are trained to be DC battery specialists. This allows us to provide a complete range of DC battery specialist services. Our UPS engineers will construct your battery set on site. This often happens with larger battery sets when they are too large or heavy to be delivered pre-constructed. The battery cabinet or rack they are delivered with may also require on-site construction. During routine preventative maintenance visits our certified UPS engineers will also inspect and test the battery set. 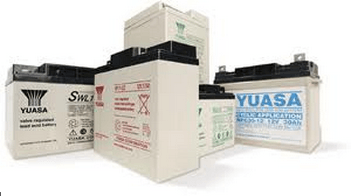 Most UPS batteries are Valve Regulated Lead Acid blocks known as VRLAs that are maintenance free. Our UPS engineers will visually inspect the terminals for white residue, which indicates electrolyte leakage, as well as inspecting the plastic cases for buckling. Case distortion results from the heat generated during discharge and is a result of rising impedance within the battery itself and sulfation of the battery plates. Our UPS and battery engineers can also provide battery set. This may be in the form of critical power load bank testing on the entire battery set or individual battery block testing using a hand-held battery tester. When our engineers find a failed battery block, they can recommend replacement of the block, string or set. Often this is down to the age of the battery set and if the set is more than a couple of years old a complete battery replacement is required. This is because the weakest battery within a string will always reduce overall performance. Another battery service provided by our engineers is the complete removal from site of failed batteries, UPS and battery cabinets. It is important to make sure any battery is fully isolated before removal from site as it is an energy storage device. Once removed and taken back to our recycling centre the batteries are broken down into their constituent parts that can then be reused to make new batteries and other products. EcoPowerSupplies is one of the UK’s leading UPS and DC battery specialists, providing the complete range of battery services for datacentres, comms rooms, telecoms, industrial and other critical power dependent users.